I magnified and shared this photo, which is just 1⅝ inches wide, as a #ThrowbackThursday for Dad on Facebook. 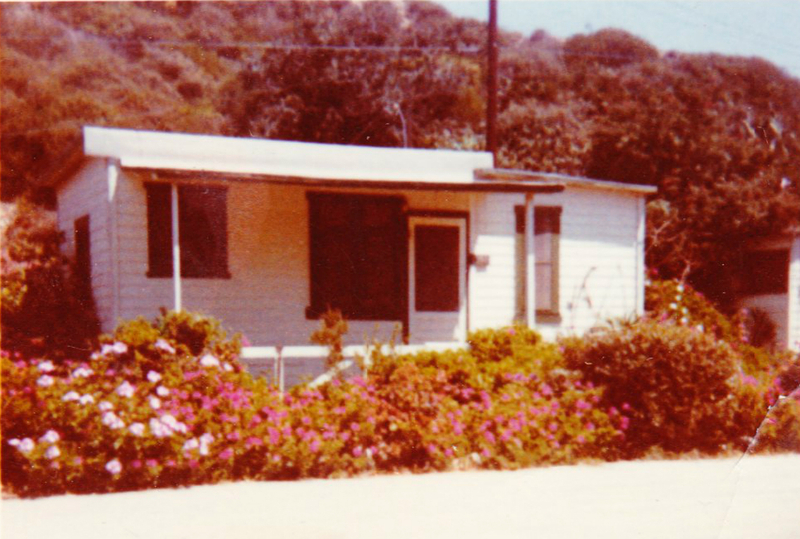 The caption on the back states: "1350 N. Nevada Oceanside, Calif."
"Mary and I's first 'house' after traveling from Philadelphia to Oceanside, CA, so I could report for duty at Camp Pendleton. I'm guessing June 1970. We knew Mary was with child (Chris). I remember there was a stray cat we befriended. The cat would catch mice and squirrels and put them on the porch. Not long after we moved into base housing." I don't believe this house still exists. Nosing around on Mapquest, it appears that North Nevada Street now ends with the 700 block. Beyond that is the Oceanside Police Officer Tony Zeppetella Memorial Highway, which is part of California State Route 76.